English is not everyone’s cup of tea. It has weird grammar rules. Do you have such a mindset? Then, this guide is perfectly crafted for you. 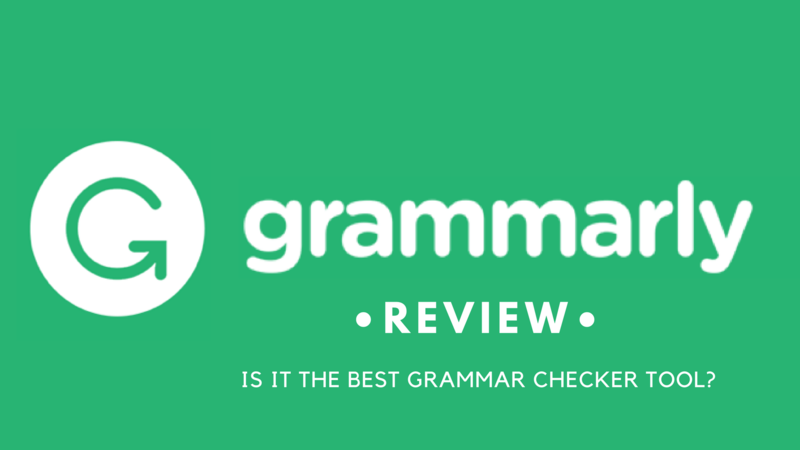 I am reviewing a special grammar tool here, which is Grammarly. Grammarly occasionally provides discounts. So, you may also get a superb discount. This Grammarly review touches nearly every aspect of the tool. 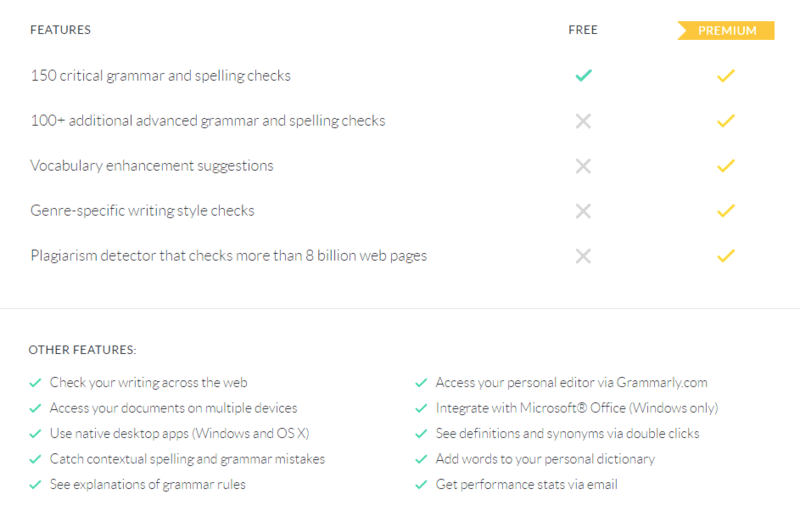 Grammarly is a freemium grammar checker and proofreading software(& web app) with a few add-ons that are included in Premium plans. It’s available as an Extension for Web Browsers like Chrome, Firefox and Safari and a Native App for Windows and MacOS. You can also get it as a plugin for MS- Word too! Now, it’s time to review this super cool tool. If you are already familiar with this excellent tool, I would suggest you to Buy It. At first, I am sharing few of the incredible features. 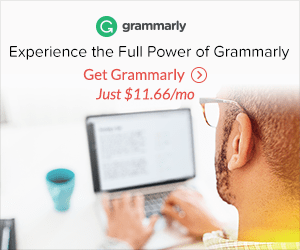 You can sign-up on Grammarly for Free! The free version is limited to only 150 points of grammar, contextual spelling, and punctuation errors check. Free accounts are only limited to Web Browsers like Chrome, Firefox and Safari as Extensions! If you’re a person who writes casual stuff and isn’t concerned with proper English in his content(or any other language), then the Free account is definitely good for you! With some more Premium Add-ons like Plagiarism Checker, Vocabulary Enhancement, Native Desktop Apps and Microsoft Add-Ons! I have used many paid Grammar checkers. But, never found anything that could beat Grammarly, till date. You will never get such a brilliant tool in this price range. If you don’t want an annual subscription, go for a monthly or quarterly subscription. 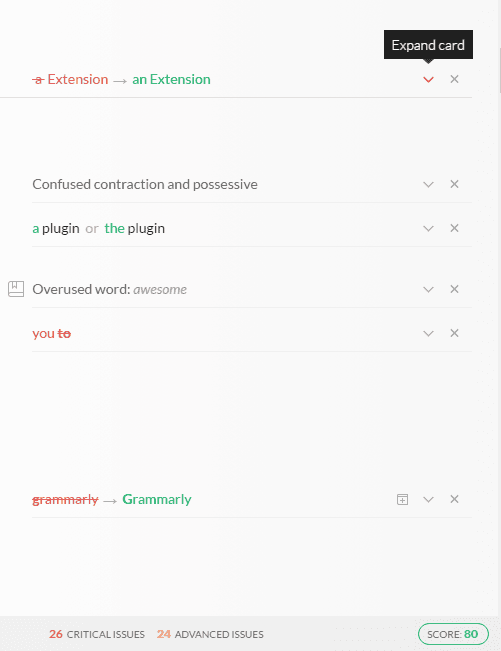 One really good thing about Grammarly is Easy Web Browser Integration using Web Extensions. Grammarly Free Browser Extension monitors your typing on the real time basis, so it can suggest you the corrections for grammatical errors you did while blindly typing the text! Let’s say you’re a person who writes long and sensible content on social media. You’re bound to make mistakes while writing long paragraphs. 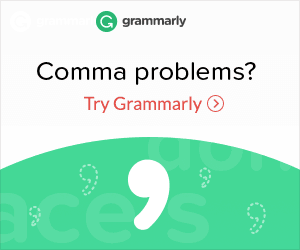 Grammarly can help you with this by scanning your mistakes in real time and giving you suggestions to correct them as well! Here’s an Illustration in a GIF format! See the image given above. That is my Grammarly dashboard. As you can see, it is not flooded with tons of buttons and links. You get only what you want. There are five different sections in the left sidebar. 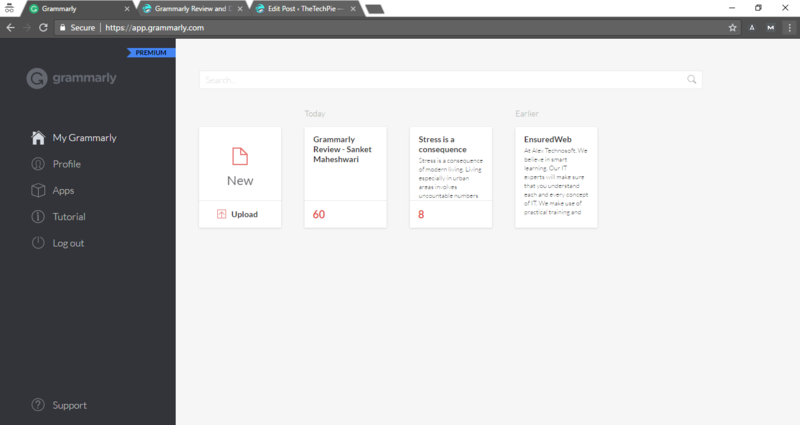 My Grammarly, Profile, Apps, Tutorial and Log Out. My Grammarly: The first option is your checking dashboard. There, you can start checking the writing by clicking on New button (you can see it clearly in the image). Or else, just upload a document and continue with the correction. Profile brings you 3 different and easy menus. Personal Dictionary: To add your own custom words (like your name), so it never autocorrects (or suggests) in future! Language: An option to select our default language for future articles and projects. Account: A small dashboard to check(& edit) the registered Account Details. Apps section, you can find three apps to download. Browser Extension, Microsoft Office Plugin and Grammarly for Windows(or OS X). Tutorial : It’s an FAQ interface just to help you out if you need help using the tool! Support : It opens up a new webpage by Grammarly only for FAQ and Support related things. You get two different options on Grammarly to check your writing. First one is copying your entire content and pasting it on the dashboard (after clicking the new button). Check the above image once again to have an idea about the dashboard. With free Grammarly account, you can only get access to correct basic mistakes. But, paid account notifies you if any word gets repeated more often, Plagiarism checker and many Advanced Corrections as well. Another option is uploading your document directly to the dashboard. 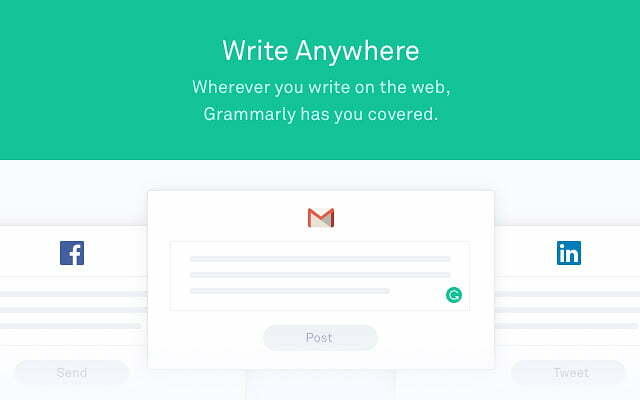 Grammarly will automatically detect the text and show it on the checking screen. Then, you can edit it out and correct the mistakes. After all, the document can be downloaded soon. Suppose you want to check a file (REVIEW.DOCX). The downloaded file will be REVIEW.edited.docx (Grammarly will include some comments inside the document. As we all know, Grammarly is an automatic tool helping to improve your English. But, it will not correct anything without your consent. Instead, this amazing tool suggests you the corrections and leaves the action part to you. Refer to the image given below to have a clear idea about how their correction system works. I am a satisfied user of Grammarly Premium Subscription. The screenshot, I gave here was taken from the Grammarly Browser App. You can’t correct the advanced mistakes with the free Chrome add- on. Less critical mistakes show your knowledge in English usage while less number of advanced mistakes proclaim you are the best English writer. It not only works as a machine which corrects spelling mistakes and errors in grammar, but it often shows a notification if a word/phrase seems not to fit in the context. That’s why I recommend this as the most brilliant grammar tool out there. You can hardly find any alternative to this. Yeah, writers can’t ignore this amazing office software. The entire Office software pack is very useful for anyone. Nowadays, MS Office expertise is a requirement for even Government Jobs. Almost everyone prepares their CV in MS Word. You have to create a good impact on those who see your curriculum vitae. So, say a big NO to grammatical mistakes and glitches. 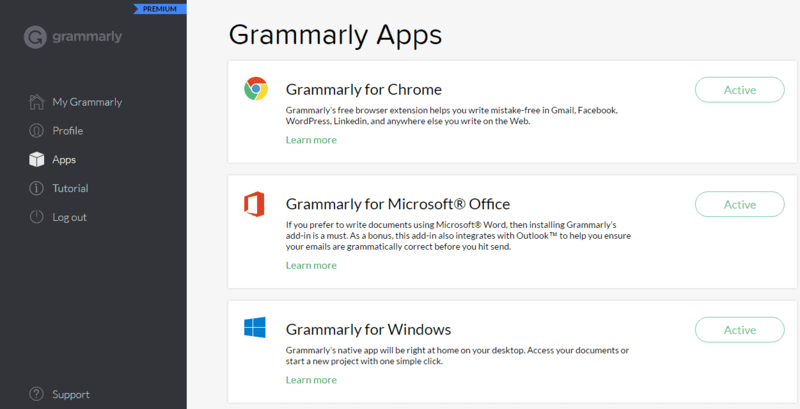 Grammarly provides an MS Office add-on for their Premium subscribers. You can find this add-on in the Apps section on the left sidebar. I have already installed it, that’s why it shows it as Active. For those paid customers, who haven’t download the add- on, there will be a Download link for sure. Don’t forget to install the program. Then, open MS Word. You can see something like this (refer to below image). Use the green button which says enable Grammarly. Then, you can see all your mistakes in real- time on the MS Word itself. This MS Office add-on reduces the use of another app or tool to rectify your mistakes. Plagiarism is a word every content creator fears of. Tons of copycats are available online who shamelessly copy our content and make a profit out of it. We can’t make new words in English. So chances are great to have some sort of plagiarism in our content. With Grammarly’s integrated plagiarism checker, you can check each and every sentence you write. You can’t get this tool with the free version. In order to make use of plagiarism checker, you should be a premium Grammarly user. Proceed to the checking window of the Grammarly. On the left sidebar, you can see many options. Click on the Magnifying Glass icon. It is the trigger of plagiarism checker. Make sure that it is On. What if you are getting a rating for every piece of content you write? It will be an awesome experience, right? Grammarly provides you an amazing rating system. Every content you write will be analyzed by Grammarly and it gives you a score out of 100. If you make mistakes, your score will be lower. If your mistakes are less, your score will be higher. Easy-Peasy. I really like this feature. Why because it enables me to trace my improvement in writing. At the starting days, my scores were lower. But now, I get more than 90 every time even before correcting the mistakes. All you have to do is being conscious. Don’t correct the mistakes on Grammarly like you are a machine. Open your eyes and see what mistakes you are constantly making. Then, try to avoid them. It may sound obvious, but relying completely on an App can be a mistake as well. Grammarly surely helps in building up and acting as the furnishing element to your write-up, but you surely need to know the basics of your Language. Have an eye on the score you get on Grammarly before correcting the mistakes. Do it every time. This way you can measure your own progress. Vocabulary Enhancement: Provides vocabulary enhancement suggestions to diversify your writing! 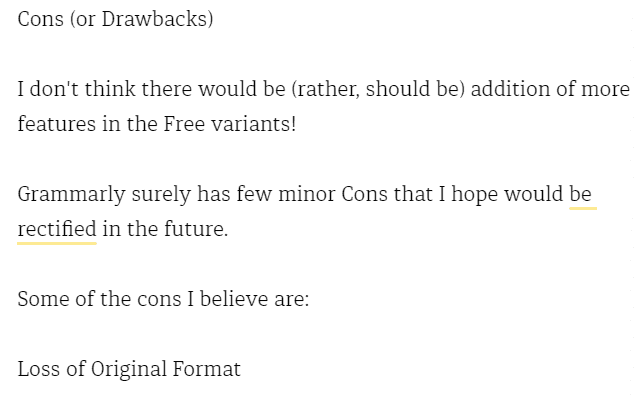 I don’t think there would be (rather, should be) addition of more features in the Free variants! Grammarly surely has few minor Cons that I hope would be rectified in the future. As you can see in the above picture, I pasted the above text, and it’s very clear that I lost the original format. This can be excruciating sometimes. I know it’s a text editor and correcting software, but I do expect it to maintain my original formatting so I can copy paste my documents and return back to work with the same original format! This can be rectified by Using Grammarly Chrome Plugin. It overlays it’s WebApp over the basic WordPress Text Editor and then allows us to Grammar Check the content without Losing up the Original Format! Yes, it’s a lovely WebApp with great features. But once you’re logged in, it asks of Internet availability. And since it’s a WebApp, it obviously needs Internet to run and process your mistakes in real time! It’s not a big thing for a content creator who’s whole work is online in the first place. But it’s unavailable for offline users and that can be a Drawback for many! 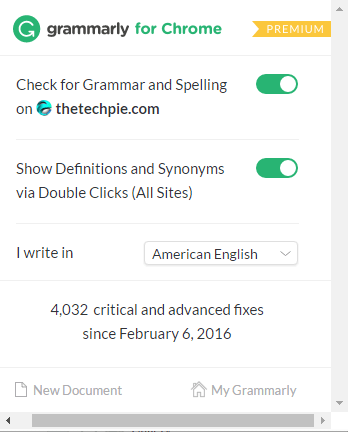 Looking at the stats, you can understand my experience with Grammarly so Far! I’ve been using it since February 2016, that is over a year and it has helped me correct some major and critical issues with my grammar! What do you think about Grammarly? Let me know in the comments below! I was wondering if its any good or not! 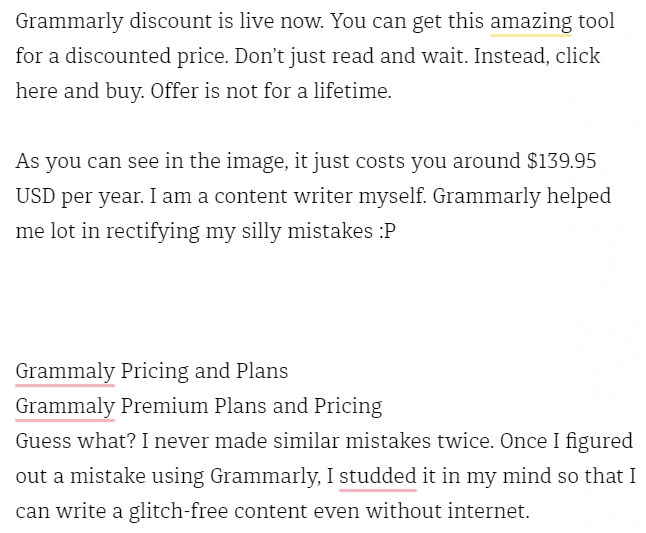 I am using Grammarly from last one year and it helps me a lot while sending mail or writing a message and now I am planning to purchase a premium version of Grammarly.